Head outside and teach the kids about constellations any time of year -- no high admission prices to pay, no fancy equipment needed. Away from the bright lights of the city, constellations can be seen with the naked eye. For thousands of years, navigators have plotted their courses using constellations and farmers have planted their crops using them as a guide. The International Astronomers Union currently certifies 88 star groupings as constellations. The Union notes that "the ancient Greeks were the first to describe over half" of them. Thought by some to be constellations, the Big and Little Dippers form parts of two constellations: Ursa Major (Big Bear) and Ursa Minor (Little Bear). Star groupings which form parts of constellations are called asterisms. Unlike many star formations, the Big Dipper looks like its name. 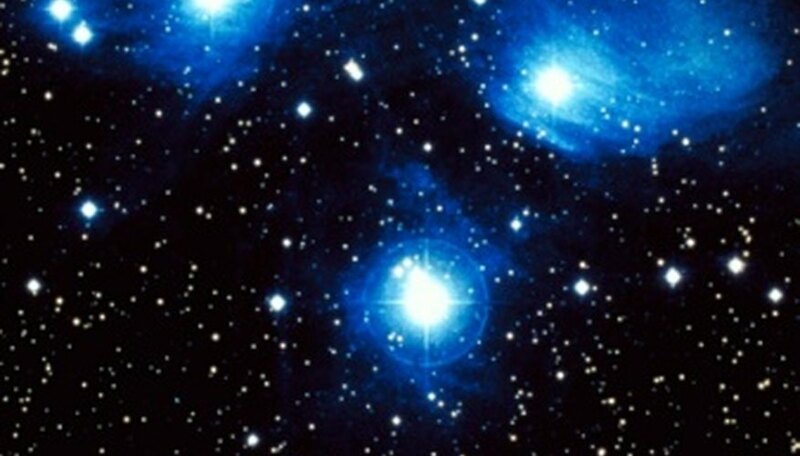 Find seven of the most vivid stars in the northern sky; four of them form a tail-like handle. The remaining three stars make the Big Dipper's bowl. The two brightest stars in the bowl point down directly to the North Star. The North Star makes the brilliant northern tip of the Little Dipper. 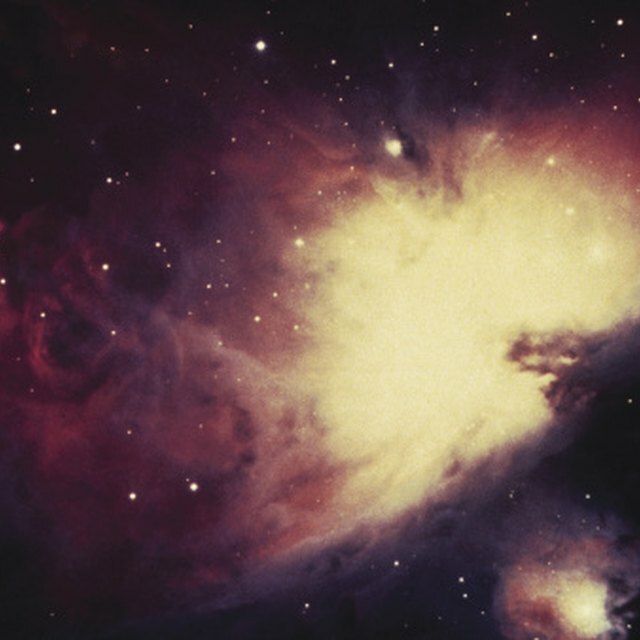 Break in to winter stargazing by finding Orion. Orion's Belt, like the Big Dipper, makes it one of the easier constellations to locate. In the southern sky, look for three stars in a slightly curved line; these three stars are Orion's Belt. Orion's second brightest star, Betelguese, sits high above the belt and forms his left shoulder; slightly down and to the right, Bellatrix, makes his right shoulder. Meissa is Orion's head and sits above and between his two shoulders. An enormous, brilliant blue star named Rigel marks Orion's right foot. Look for Scorpius in the summer sky. Find the summer night's brightest star, Antares, about halfway down the horizon. Six stars stretch out above Antares on both sides and form the constellation's head. Follow the shiniest stars which fall away from Antares toward the Earth to discover Scorpius's tail. The string of stars that make up the tail will curl up and back around to the left just above the horizon; these stars form Scorpius's stinger. Engage your kids in looking for constellations by telling the myths which surround many of them. Connect Orion and Scorpius by relating their common mythology. Orion boasted about his hunting prowess and threatened to slaughter every animal on Earth; in turn, Scorpius was sent to kill Orion. Fearing the trouble they would cause, the gods separated the two; thus, one decorates the winter sky, the other the summer sky. Ask kids to make up and illustrate their own stories about the constellations and how they came to be. Star Deck; Guide to the Constellations; Michael K. Shephard, PH.D.
Dodie Nelson has multiple years of experience as a writer, corporate manager and traveler. She has a degree in English and has been published in newspapers and magazines as well as online. Nelson, Dodie. "A Guide to Constellations for Kids." Sciencing, https://sciencing.com/guide-constellations-kids-8696652.html. 25 April 2017.